Having spent a good part of my childhood in Allahabad, the recent trip to Varanasi was like visiting a more illustrious cousin of the city. And although my bones were beginning to feel foreign to cold temperatures of a more northern part of India, indulging in the winters of Uttar Pradesh will always remain a formidable force to play footsie with. 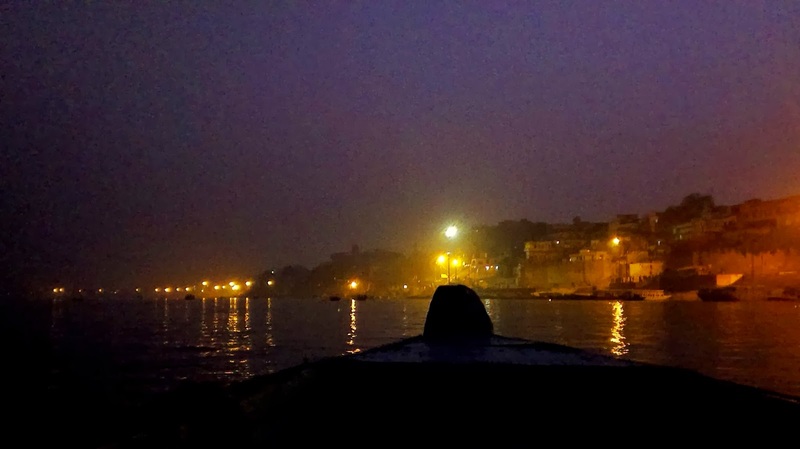 Taking a quiet ride on the boat while passing the picturesque ghats on a chilly winter evening silently brings one out to question the deeply-rooted principles that people base their lives on. This city is perhaps the oldest city in the history of Hinduism. And Hinduism, barring the rituals, I believe should be referred to as a faith system instead of a religion. It explains of a system in the very basic existence of human interaction - the system of a society - where each and every individual fits within the societal hierarchy, which clearly dictates their duties toward other beings within their circle of interaction, and in ways with which they promote their existence in the society. All that the so-called Hindu scriptures preach (and here, I dare to extrapolate) ultimately seem to contribute to the didactic way of ideal living. I know Science, and I've known religion. And I strictly follow the former and have abdicated the latter. Science talks of decrees and formulas, and so does religion. They both say that there exist universal rules for everything to follow, but only science acknowledges exceptions. It talks of Ideal Gas - a hypothetical gas whose molecules occupy negligible space and have no interactions, and which consequently obeys the Boyle's and Charles's laws exactly (remember PV = nRT from the school days? Agreeably, the equation has destroyed the innocence of so many children, before the advent of TVs and mobile phones into their lives). And it also recognizes Real Gas, that do not follow the laws in practice! I haven't heard of religion allowing an exception ever. If it does, it is within the inexplicable rules of another religion. Follow it, and you begin to feature in the hit-list of the former. Hinduism has been the oldest / one-of-the-oldest of all religions. My guess is that at one point of time, there must've been an occurrence of a huge loss of faith in Hinduism. It would've been a time when people were migrating, breaking societal barriers, intermingling and pushing the human potential for work and gathering wealth, thereby making the strict rules of Hinduism irrelevant. The preachers must've got alarmed at this point and drew explanations that would help them hold on to a world of make-belief that they considered Ideal (and there's no doubt in that). But as it turned out centuries later, it was far from being Real. The relevance of the Hindu way of life was lost forever and Hinduism became a farrago of complex and polemic rituals. What was Kashi, now became Varanasi and it stood witness to the greatest example of evolution in human history. Because Science got it wrong - it is not Man that evolves, but the ideas of a Man. What started as respecting the little understood forces of nature now became banal rituals to (supposedly) appease the well-explained features of nature (that we merely choose to disrupt as a pastime), and the livelihood of a variety of otherwise jobless people. But having said all this, I must say there are a few things regarding Varanasi that I always seem to appreciate. For example, people in that city respect cows to such an extent that they could only request the animal politely to not to shamelessly gobble up the fruits that they have painstakingly arranged at their shops for the purpose of commercial gain. Then there are the narrow stone-paved lanes that only allow people, bicycles, dogs and cow-dung for occupancy. The odd temples, like that of 'Khichdi Baba' and 'Shayari Mata'. 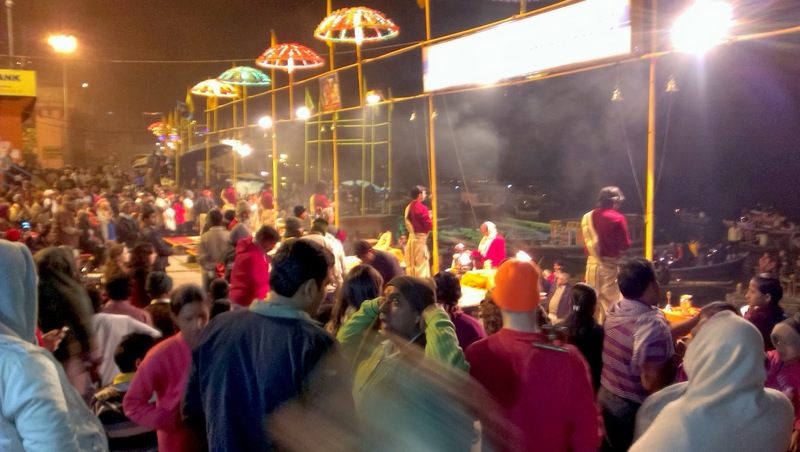 The chants of shlokas and hymns that make up the understated ambience in the city. The relentlessly burning funeral pyre at the Harishchandra and Manikarnika burning-ghats. The friendly greeting of 'Ka Ho Bhaiya' by a resident of the city and of course, the famous Paan (betel leaf) of Banaras. There are many beautiful places to visit in and around Varanasi. I chose to visit Chunar (or Chunargarh) - the fortress city on the banks of Ganga, and Sarnath - the birthplace of Buddhism. 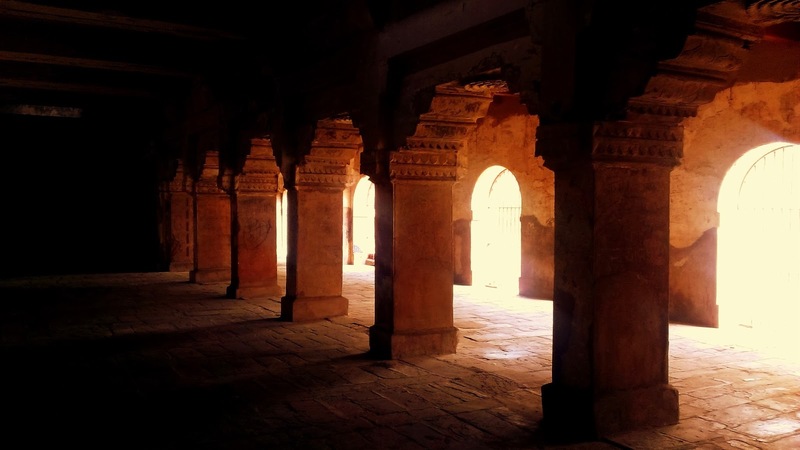 Chunargarh (Chunar is the name of the kingdom and Garh is the ancient name for fortress) is an independent kingdom ruled by motley of legendary rulers such as Raja Vikramaditya, Sher Shah Suri, Akbar, Humayun and Warren Hastings. 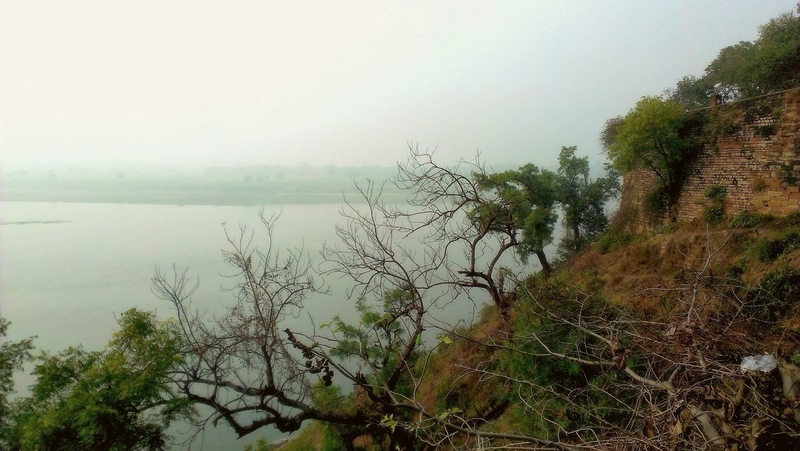 The most prominent part of the city is the fort itself - looming large over a citadel, looking over the Ganga river on one side and vast green plains on the other. Long back when we lived in Allahabad, we had come here for a family picnic, an indulgence we neither can afford, nor can seek permit for in today's time. In Chunar, I also found a piece of old family history - an old Kali temple. My ancestors have built a Kali temple very close to the fort. It was raised by a lady who claimed to have dreamt of the ruins of an ancient Kali temple, while sleeping at the very compound by accident. It is said that with the help of villagers, she dug out the deeply-buried idol (made up of volcanic rock) and built a temple all around it. It is not very well-known in the country or state, but is certainly a highly revered Bengali temple in the area. Sarnath on the other hand, is the deer-park turned spiritual center of Buddhism. This is the place where Buddha attained enlightenment and spoke the first sermon of what became Buddhism. The guide had rightfully explained how Buddhism had started as a spiritual faith, only to be popularised and turned into a zealous religion by King Asoka - for all good intentions, I've been assured. Hundreds of temples have been constructed by ambassadors of diverse countries. I enjoyed the Sri Lankan, Chinese and Japanese temples in particular, both for their architectural artistry and for the tranquility that a Buddhist compound for worship generally provides. I've returned from these holiest of holy places (and a fortress city as an oddball) with two things in my mind. That the Uttar Pradesh government should promote these places as excellent touristic ventures, and develop them accordingly and that if you're not used to it, winters of North India are not to be trifled with. The photos used in this post have been taken by my new HTC Desire 500 camera phone... est tout à fait fantastique, non? BTW, as long as weed is freely (shadily) available in Benaras, the UP government doesn't need to worry about tourists. Everytime I visit the ghats, I see more firangs than desis. Varanasi indeed has more firangs than Desis on those ghats. I so want to explore Benaras properly, all this while I have been going with my folks and its not the same. I want to do the midnight walking and meeting strange (and good looking) people and listening to their stories. And then write a novel about this and get really rich! I loved the way you wrote this. I loved your humour here. Keep writing more. Thanks dude. I was reminiscing of the good old days, and smiling silently myself. Glad you liked it. Thanks A. I'm glad you loved it A. Historical? In a few years, definitely. the last line pretty much overpowered a lot of the above said things!! But now I'm at home, eating, drinking, sleeping and watching tonnes of movies everyday on the laptop. Getting all my appetizing requests fulfilled by Ma. Life's been good so far this year.. And that is why maybe, the future looks ominous! Do you know my girlfriend went and told her of my fascination about her during the last time we all met. It was a tough time for me as both of them just kept giggling about it. Poor me, we became friends though. And I did check your blog! Its just that my internet is having problems off late and I'm roaming around places.